Arrow Electronics, Inc. has signed a distribution agreement with ILS Technology, a leading provider of ready-to-use cloud platforms to connect enterprise IT systems to remote devices and machines on which businesses depend. Under the agreement, Arrow customers in the Americas will now have access to the ILS Technology deviceWISE M2M Application Platform and deviceWISE M2M Deployment Kit. ILS Technology solutions deploy to any device without the need for complex programming or development, and include security measures to help protect company and customer data and ensure regulatory compliance. “By adding ILS Technology deviceWISE offerings to our line card, we can significantly simplify the process for our customers when bringing new M2M applications to market,” said David West, vice president of supplier marketing and asset management for Arrow Electronics. “Arrow is focused on approaching the M2M marketplace with end-to-end solutions, and we’re happy to be an enabler to their business as well as to their clients,” said Fred Yentz, chief executive officer of ILS Technology. 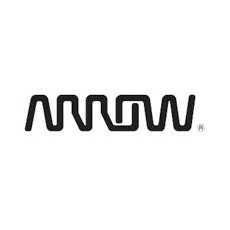 Arrow Electronics (http://www.arrow.com) is a global provider of products, services and solutions to industrial and commercial users of electronic components and enterprise computing solutions. Arrow serves as a supply channel partner for more than 120,000 original equipment manufacturers, contract manufacturers and commercial customers through a global network of more than 390 locations in 52 countries.